Monday is College Night and Tuesday is BOGO Night! $15 lift tickets and $25 tickets and rentals! Show your college I.D. and get 50% off any ski or snowboard lift ticket price. Mount Pleasant Tube Park is closed on Mondays. 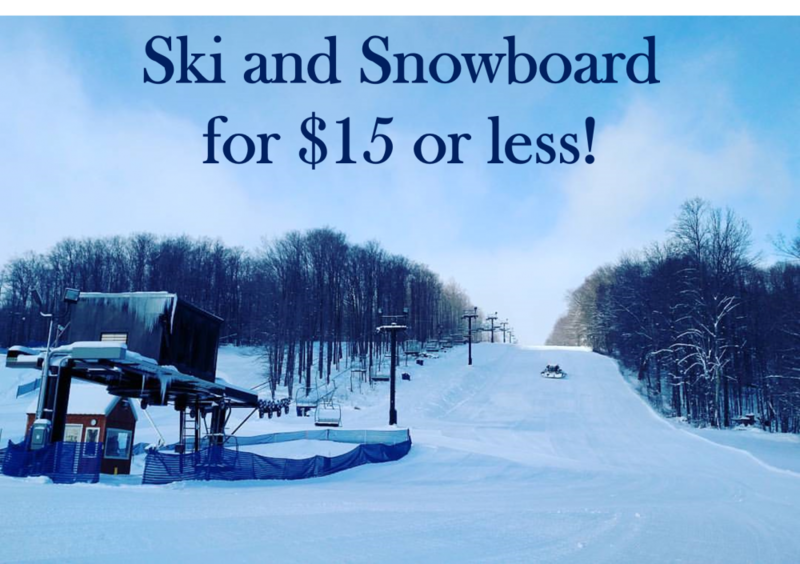 Get any 2 ski or snowboard lift tickets for the price of one. Tickets must both be used on Tuesday night. Mount Pleasant Tube Park is closed on Tuesdays.